Based on the Petyrbolt LRHF 2, this one has almost three times the fuel! It’s got a new kind of trailer coupling, very easy to use. Lowered the damping to cope with the terrain seams. 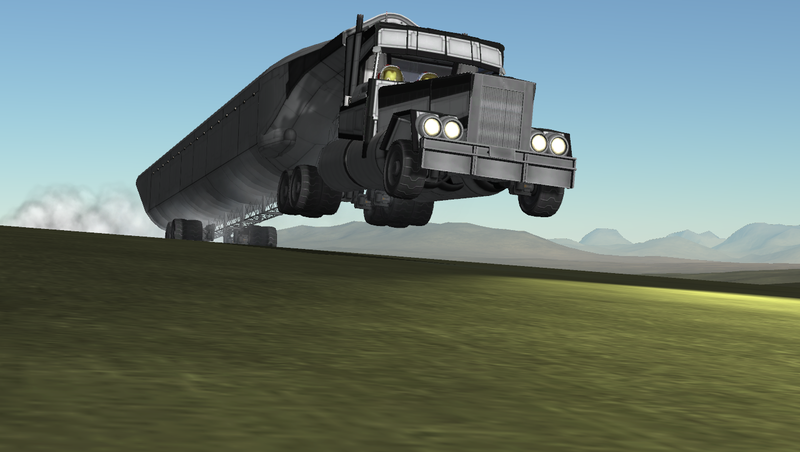 Added vertical wings to the trailer to give it some more stability. Added an RTG to the trailer, removed the fuel cell and fuel. Added some red light to the rear of the trailer. Built in the SPH in KSP version 1.2.2.